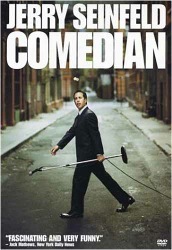 A fantastic look at the unfunny business of learning to be funny. Every artist battles the fear of failing. The more successful an artist becomes, the more they fear. Whether you are writer, filmmaker, musician, painter, dancer, comedian — it never gets easier to create the next great thing. 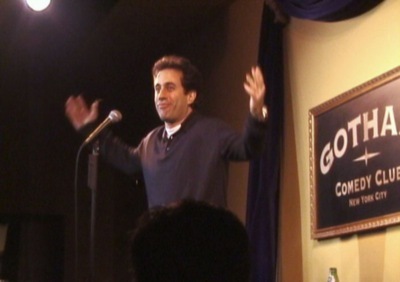 This paradox of success is made apparent in this documentary about the struggling comedian Jerry Seinfeld. After he leaves his eponymous mega-hit show, he returns to stand-up comedy as naked and anxious as a 20-year old first-timer. We follow him as he squirms, storms, and retreats while crafting a new routine, battles against getting bored, missing his timing, and being off. And yes, he harbors genuine doubts. As in anything else worthwhile, behind the apparent final ease is a journey of nerve-wrecking hard work — wisely captured in this apparently easy film. There’s some good laughs, too. I recommend this highly to anyone engaged in creative pursuits.